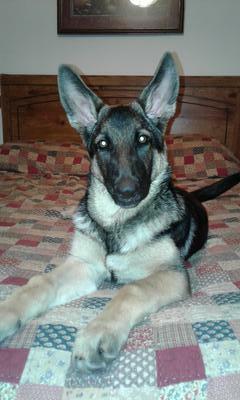 I have a 4 month old german shepherd puppy who was not raised by her mother. Therefore I believe she was never taught bite control and confidence. She is afraid of everything. I tried socializing her. But she is afraid. Whenever I go out in the back yard to play she jumps on me and or bites at my feet and ankles. I don't know what to do. I have tried everything. Thanks.